In 2008 the Federal Security Service managed to prevent 97 terrorist attacks, and kill 200 militants and leaders of armed gangs. FSB chief Aleksandr Bortnikov recounted this during a meeting with journalists on the 'Security Service Officer Day' holiday, reported RIA 'Novosti'. Bortnikov said that nearly 900 persons had been convicted of the crimes of terrorism and extremism. 23 members of the international terrorist organization Hizb ut-Tahrir were sentenced to various prison terms, and 5 activists from the Islamic Party of Turkestan radical group where detained and extradited. ‘Interfax’ reports that representatives of the Moscow prosecutor's office admitted to the embezzlement of personal effects belonging to Dubrovka hostages. The looting took place during the course of investigations. The prosecutor's office, however, said that it was not responsible, since all responsibility in this case lays with the Investigative Committee, a separate legal entity. In addition, the Moscow prosecutor's office noted that the individual suspected of committing crime was «law enforcement employee» Lilyukhin, but investigation into the incident was closed due to his death. The Moscow Prosecutor's Office opened a criminal investigation into looting at the Dubrovka theatrical center. Dubrovka became infamous during the events of October 23–26, 2002, when actors, staff, and spectators were taken hostage by a group of terrorists, resulting in the death of 130 hostages, including our fellow countryman Maksim Mikhailov. His wife Alena was lucky to remain alive, and is still a victim of the case. 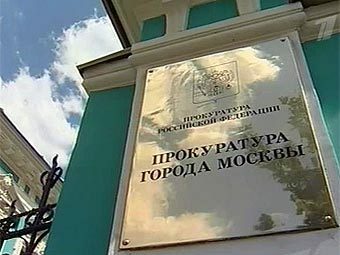 The investigation department of the investigative committee at the Moscow prosecutor's office has launched an inquiry into looting that occurred during the rescue of hostages at Dubrovka. The hostages had been captured while viewing the musical 'Nord-Ost' in October of 2002. Igor Trunov, the lawyer representing the interests of the victims, told 'Gazeta' that on November 20th a criminal case was opened in accordance with Article 158 of the Criminal Code (Theft). Relatives of the victims, and survivors, began pursuit of criminal charges six years ago. The main suspect was FSB investigator Lilyukhin, but no charges were brought against him as he had died in a car accident in March of 2005. Relatives of the victims asked for the return of personal belongings and money, but investigators ignored the appeals. The financial capital and largest city of India, Mumbai (formerly Bombay) became the target of unprecedented terrorist attacks. As a result of a series of bombings and shootings, more than a hundred were killed, and the number of victims is likely to be much higher. The Indian media has dubbed the event «India's September 11th,» and this is obviously not without justification: the attack on November 26th was the largest of 2008. Most of the attacks were carried out in the south of Mumbai. Terrorists attacked hotels and cafes, as well as a police headquarters and a hospital.